I’m up for any makeup look that involves fresh, dewy skin. 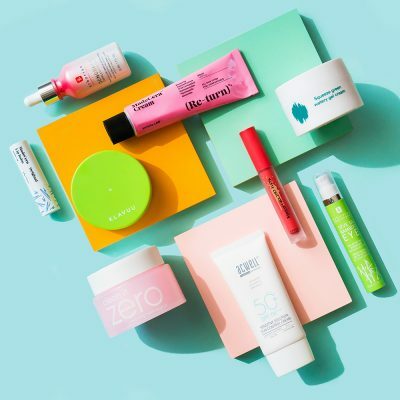 Juicy makeup was one of the biggest makeup trends in Korea last year, and it involves a healthy, glowing complexion and naturally flushed cheeks that remind you of a juicy piece of fruit. It’s a natural look that can be worn every day without the hassle of heavy contouring and false lashes. 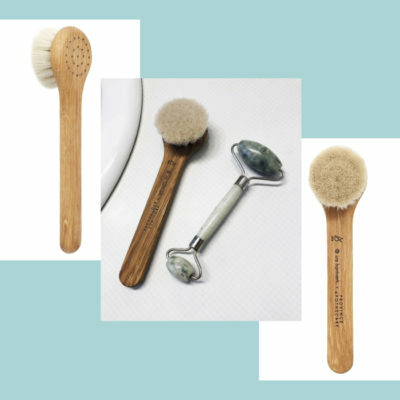 Here’s how I personally create the look using well-loved products that are easy to use. 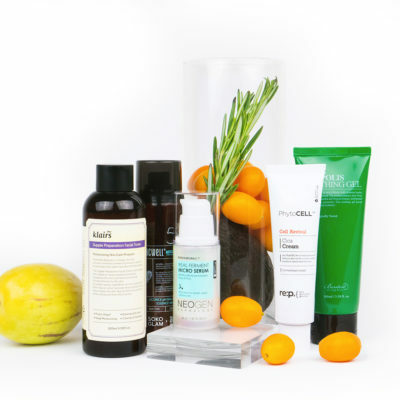 Instead of using a typical moisturizer, opt for one that adds a glow to your skin in addition to hydrating your skin. The Son & Park Beauty Filter Cream Glow is perfect because the tiny sparkles in the formula brighten your skin and give it a subtle iridescence. If I ever have to look presentable while nursing a cold, this would be my go-to moisturizer as an emergency fix. It helps me fake healthy skin at any time of the month. If it’s daytime, I never forget sunscreen no matter what. 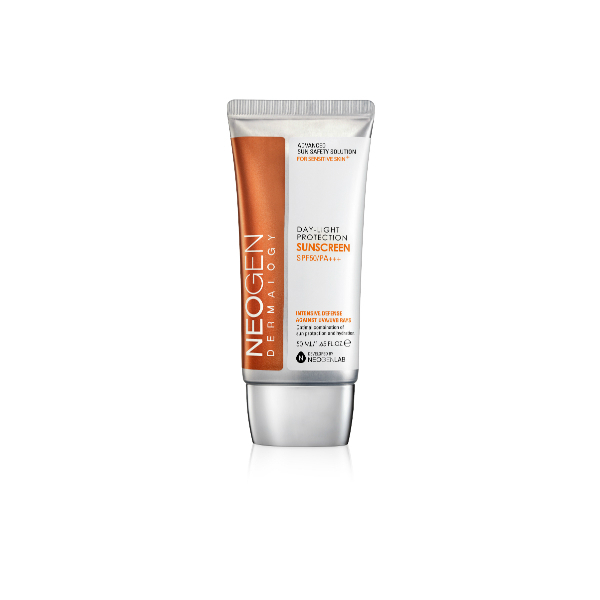 For this look, layer a hydrating sunscreen like the Neogen Day-Light Protection Sun Screen. Using a cushion foundation is the easiest to way to create a glowing, even complexion. 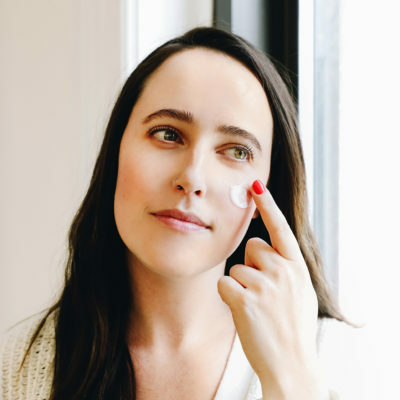 Since this is more of a natural look, you don’t need to use a separate concealer to cover up every blemish (unless you have major pimples or scars you want to cover up). 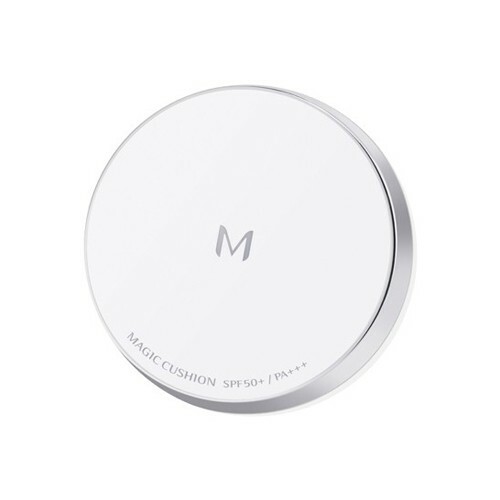 I usually take the Missha M Magic Cushion and add another thin layer to areas with dullness or redness, like under my eyes and around my nose. 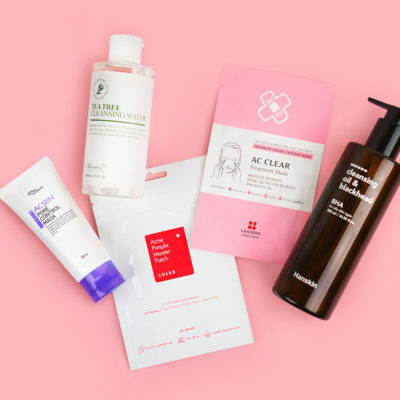 At this point, your skin is probably already glowing. But you can always take that glow to the next level by going back to the Filter Cream and using it as a highlighter. Dot a little bit on the high points of your cheeks, Cupid’s bow, and other areas you want to highlight. This will give you a standout complexion without making you look like you’re wearing frosty highlighter. Take a lightweight powder and set the foundation on only the areas you want to keep matte, like under your eyes and on the sides of your nose. Avoid the places you just applied the Filter Cream to, so you can keep the glow there. It’s important not to go overboard with the powder and let all your hard work go to waste. The Son & Park Flawless Pore Pact gives you the ideal velvety finish without overly mattifying your skin and taking away the glow. Although foundations give you an even skin complexion, they can also wash you out or make your face look one-dimensional. Combat this with a bronzer or contouring powder that suits your skin tone. I like to use the same color on my eyes, just to sculpt them a little bit without having to use too many products. To create flushed cheeks, take a bright cream blush that’s easy to blend. Warm it up with your fingers first and then work in layers to build up the color. It’s okay to go heavy on the blush, since that’s what makes the look “juicy”. For this, I like to use the RMS Beauty Lip Shine in Sacred. It looks overwhelmingly bright in the pot but blends out nicely. Create a natural brow with a brow gel like the Son & Park Gel Bonding Eyebrow. When it comes to eye makeup, you can go minimalist and stick with mascara and liquid liner. Or you can add a light shimmer shadow that matches the tone of your blush. When it comes to creating a natural, watercolor effect, there’s nothing better than a Korean tint. Take the Etude House Dear Darling Water Gel Tint and swipe it on your bottom lip, blending it out with your fingertip. You can also dab it on your cheeks to add more color. + Have you tried juicy makeup? Let us know in the comments below!